By Nancy Young in Culture. Updated on February 13, 2019 . 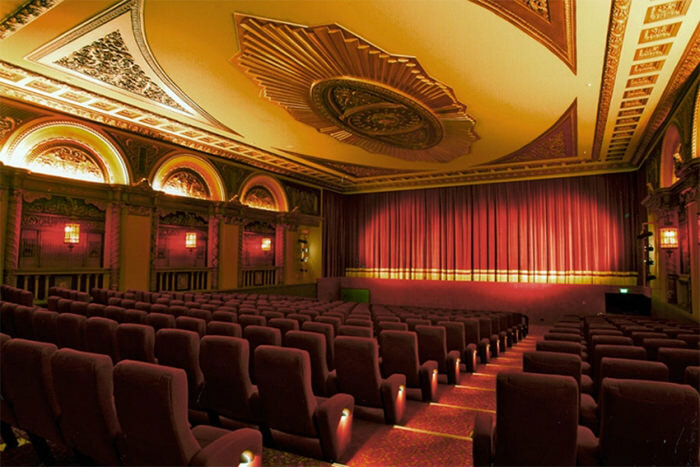 The earliest cinemas were opened in 1900 and since then movie theatres popped up in almost every city in the world. These days we no longer need to go to the cinema to watch a movie, as we can do it at home. However, no matter how futuristic cinematic pleasure gets, the good ol’ cinema experience will never lose its charm. 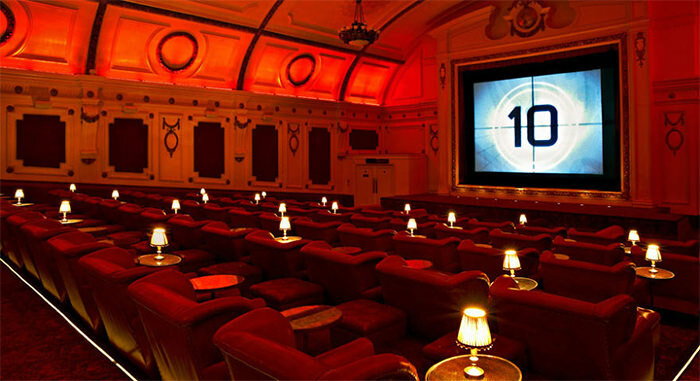 There are some absolutely creative cinemas in the world that offer toally unique experience to its viewers. In today’s collection were going to cover the most creative and unusual cinemas all over the globe. Just scroll down to find out more. 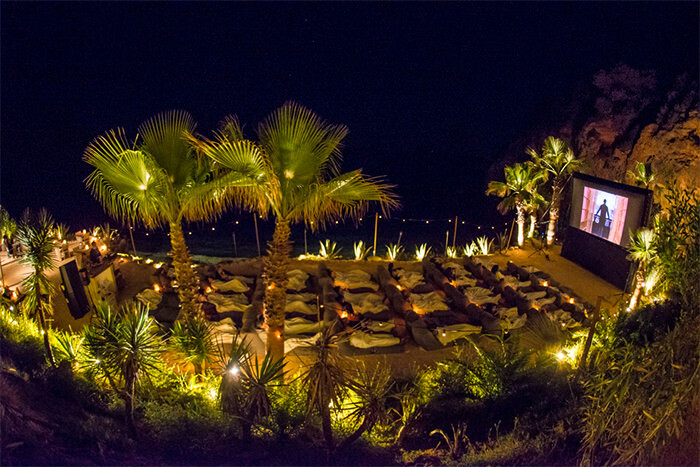 Amante is one of most breathtaking open air cinemas in the world. Surrounded by rocks and stars, you can enjoy fresh popcorn and Jean Leon wines during watching a movie. 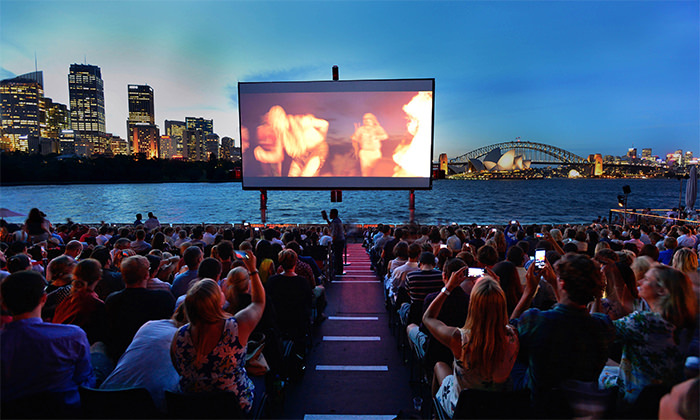 St. George OpenAir Cinema is located in the backdrop of popular Sydney Opera House, where cinema experience is combined with good food, drinks and amazing views. The screen is hydraulically raised to stand three storeys high before a 2000 seat grandstand. 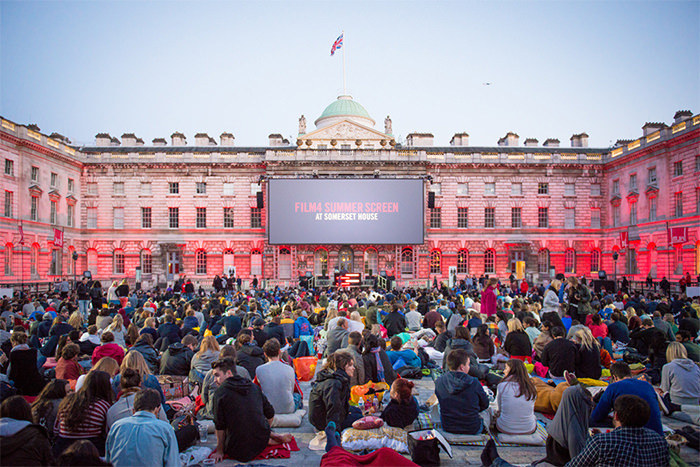 It is one of the most creative summer openair cinemas in London. Every summer they show movies on huge screen and surround sound. 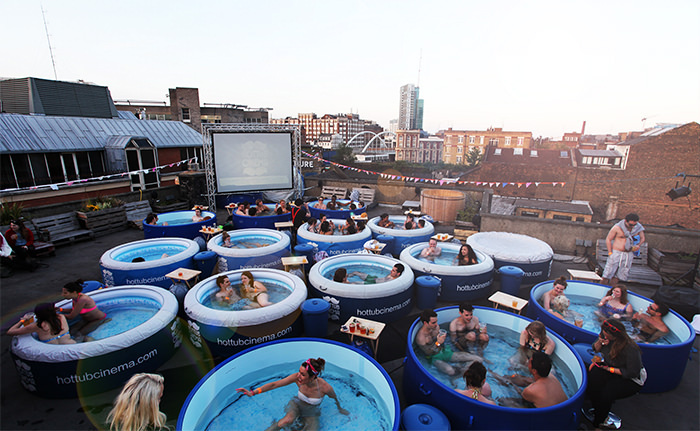 This movie theater is aimed to combine great films and hot tub experience. It’s a perfect idea to spend night with friends. The tub can contain up to six people. They encourage you eat, drink, play, dance and enjoy the movie. 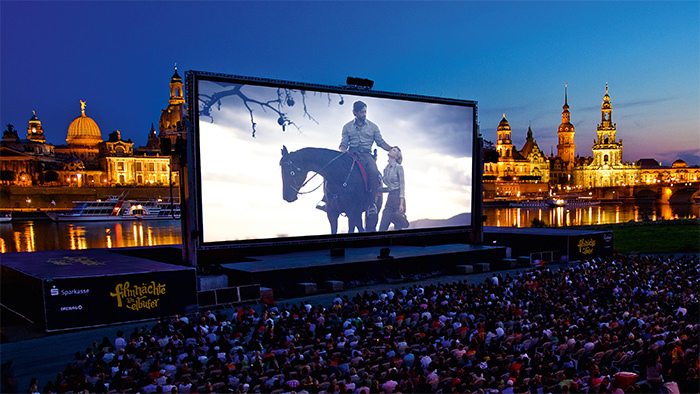 The FilmnÃÂ¤chte am Elbufer is the most successful open-air cinema and concert festival in Germany with about 150,000 visitors a year. It is held in the summer months from June to August for a period of 60 days in Dresden on the Elbe river. This beautiful music hall originally opened in 1889, it has since made many adjustments, like adding screens for film showings. 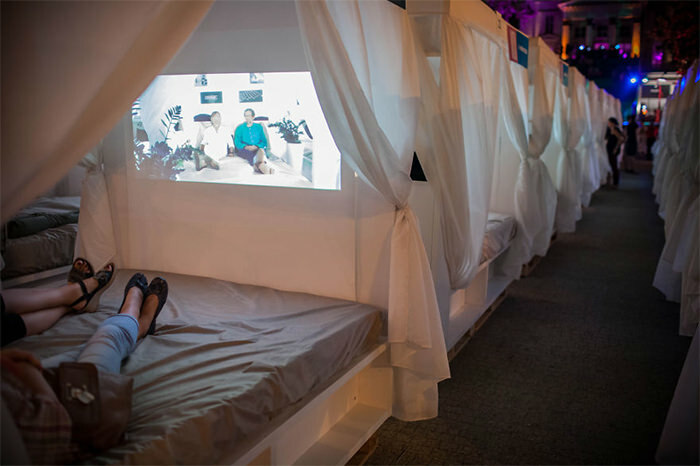 Unfortunately, the beds are not a permanent staple at this popular music hall; instead they were temporarily used as a promotional tool at an event held by Ikea. 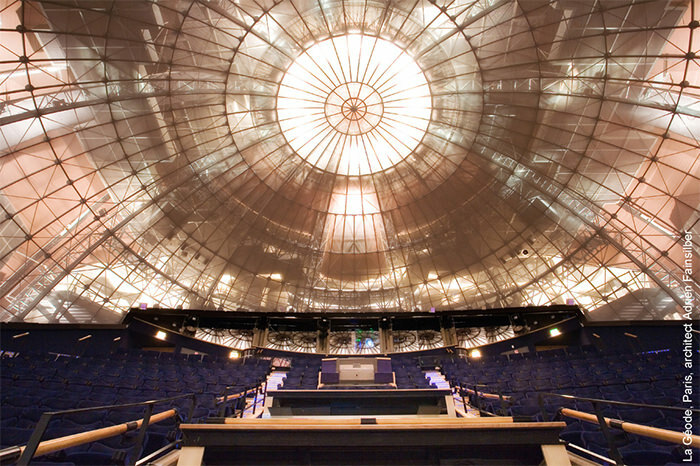 If you are ever in Los Angeles, California this awesome theater is worth your time. 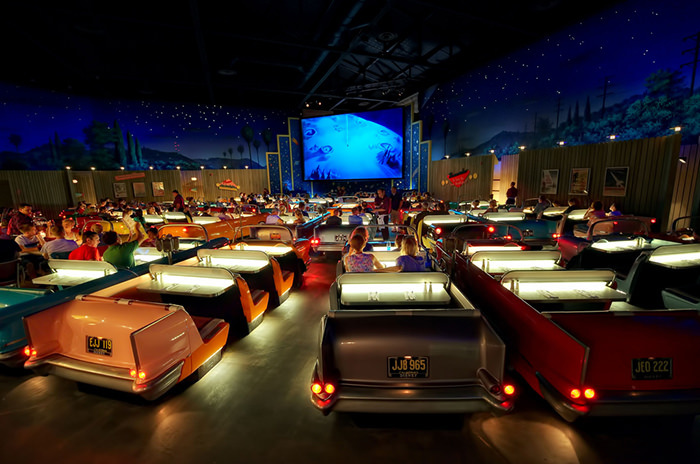 You can eat dinner and watch a show ’50s-style at drive-in “theater” featuring all-American cuisine and sci-fi movie clips. This fantastic building is beautiful inside and out, making it one of the most beautiful places to visit. This cinema was built in the 1880s as a music and a dance hall. The first consciously made Hungarian film was ‘A tanc’ (The Dance) directed by Bela Zsitkovszky, which came to life as an illustration to one of the shows of the UrÃÂ¡nia Scientific Theatre. 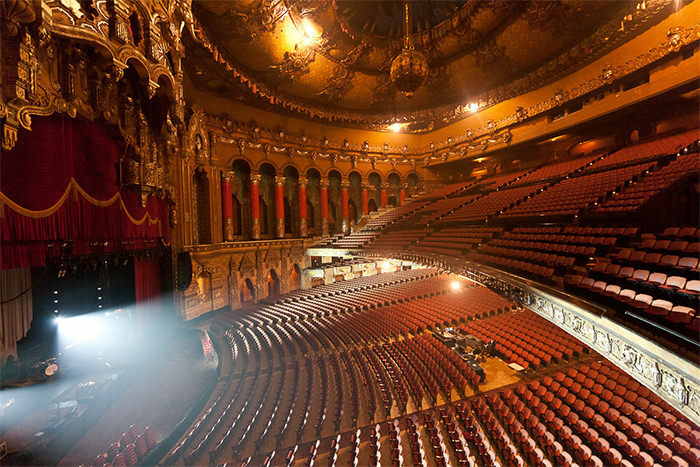 Fox Theatre is Performing Arts Center which was originally planned as part of a large temple Shrine. 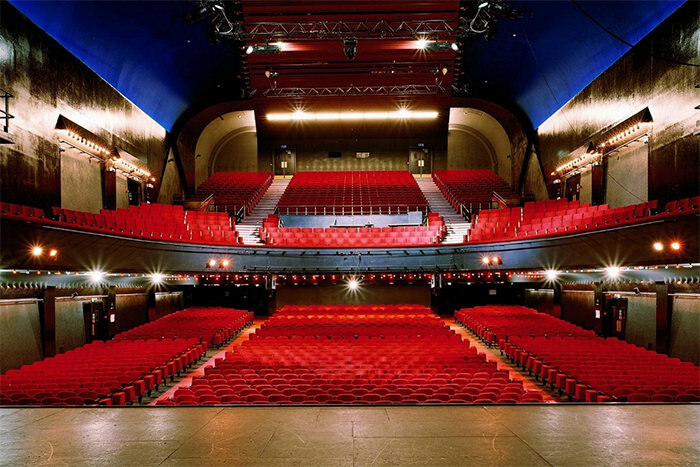 The auditorium with 4678 seats was opened in 1929, and since then many cultural and artistic events have been held there – from concerts to film screenings. 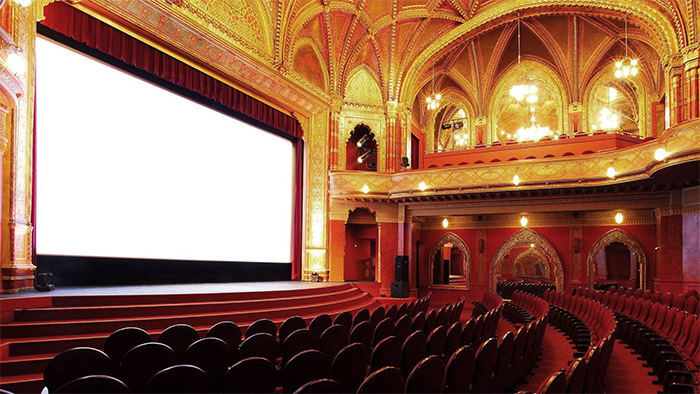 Puskin Cinema is one of the most spectacular cinemas of Budapest. The Puskin has been screening moving pictures since 1926 (back when this was the largest cinema in Europe). 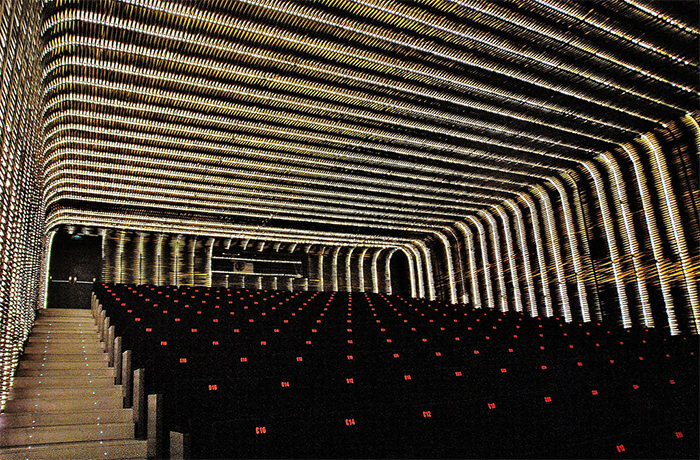 After the reconstruction, the place was finally converted into a 3-hall cinema with excellent visuals and sound. Have you seen the movie Life of Pi? 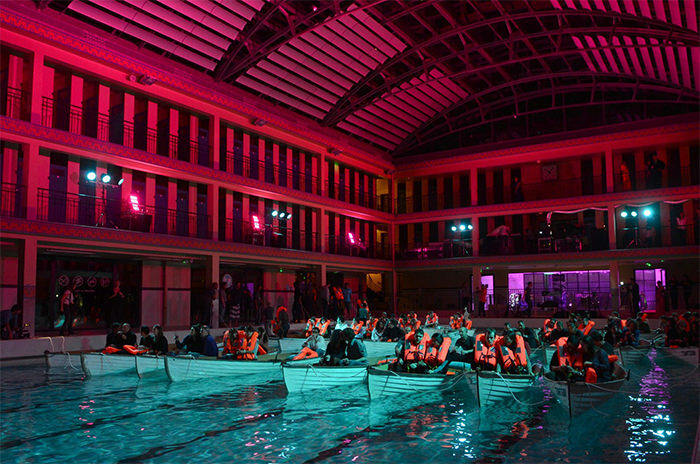 Fox France held a premiere screening of Ang Lee’s wonderful Life of Pi – a must see if you haven’t yet – inside the Piscine Pailleron swimming pool, a listed building in Paris. 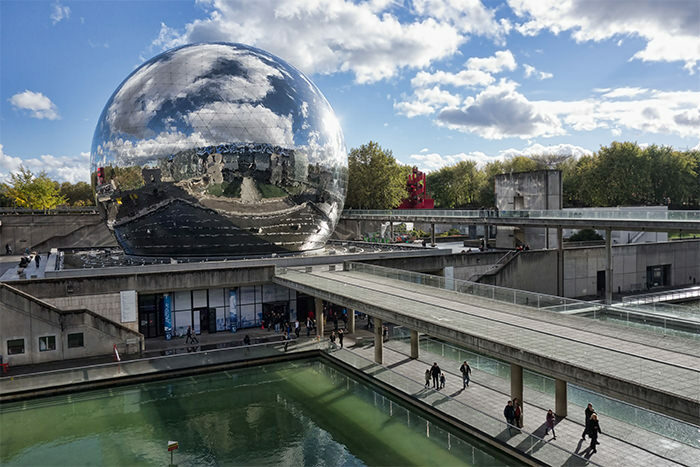 Since 1985, la Geode is the largest hemispherical screen in Europe. It had over 20 million of visitors and the image you see really takes your breath away. The Electric Cinema is one of the oldest working theaters in the country. 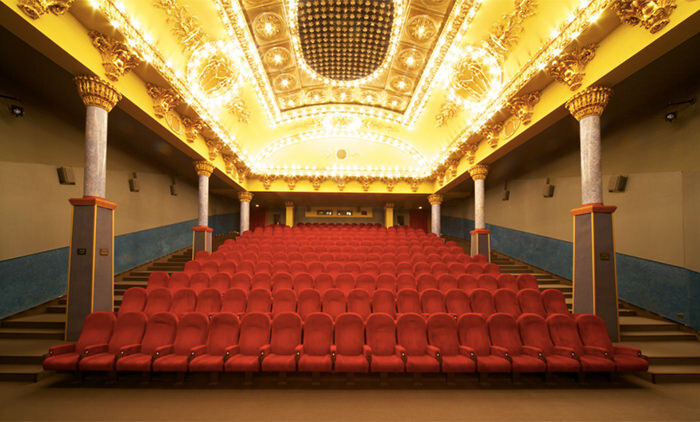 The cinema is equipped with luxury leather chairs, ottomans, lush cashmere blankets and exceptional service by waiters. It offers sophisticated cocktails and personal lamps. The first rows of seats have been replaced with six luxury king-size beds. 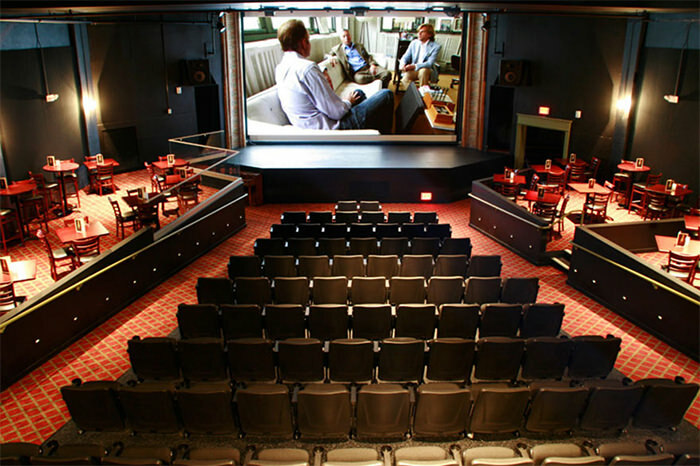 This theater hosts both films and live events, offering a total of 202 exclusive seats. It’s a perfect place to relax, sit back with a glass of wine and enjoy a movie. Huge glowing baskets surround the staircases of this former slaughterhouse in Madrid that Spanish architects Churtichaga + Quadra-Salcedo have converted into a cinema. 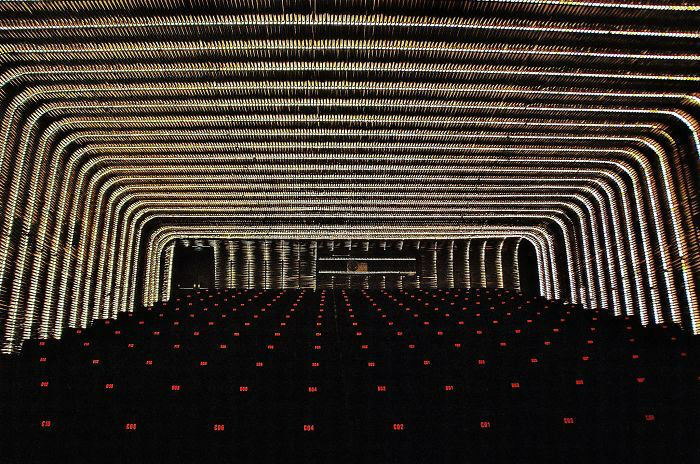 First constructed at the start of the 20th century, the Cineteca Matadero was used as an abattoir and livestock market for around 85 years, but is now renovated to accomodate two cinema screens, a film studio, an archive and a terrace for outdoor screenings. 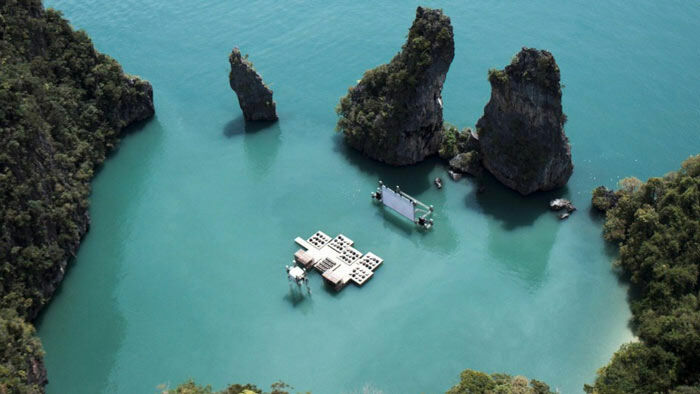 The Archipelago Cinema is simply the coolest cinema in the world and offers a movie experience that no other cinema could possibly match. 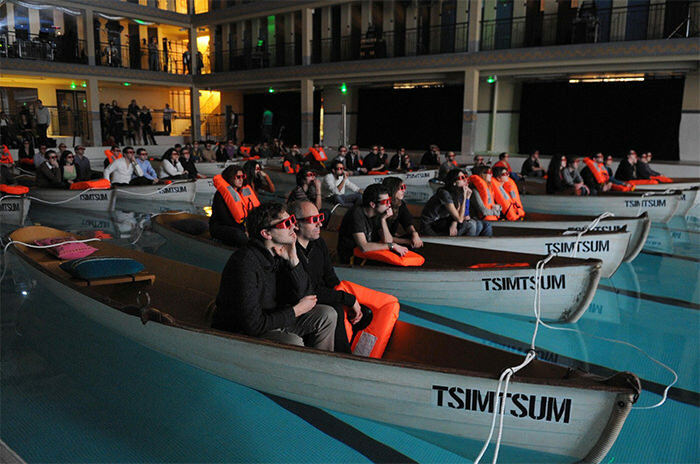 It is an auditorium raft designed to float on the sea and watch a movie. 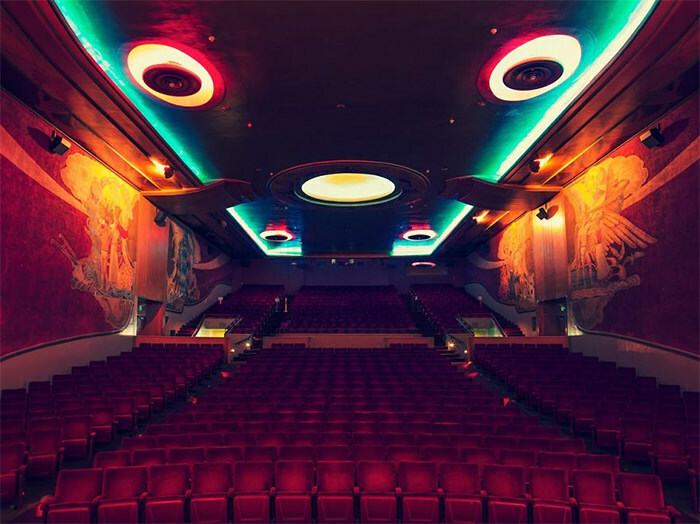 Designed by architect Alexander Aimwell Cantin built by Donald Rheem in 1941, the art-deco style Orinda Theatre is a true treasure. 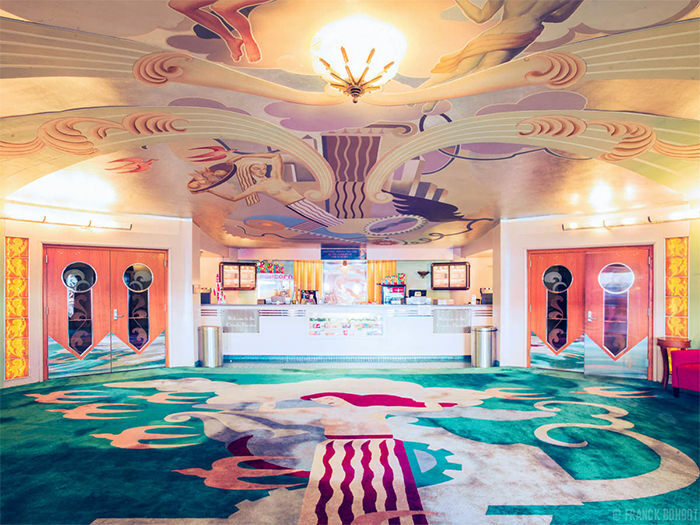 Orinda Theater plays true to the past with its nostalgic decor, but also shows hit movies from today. The theatre was originally built in 1938. The design was one which was used nationally. During the war the Regent cinema incurred a major fire which burnt the theatre to the ground. However, these days it has been fully restored to its glory and shows wonderful movies. Transatlantyk Festival presents outstanding films and music from all around the world. 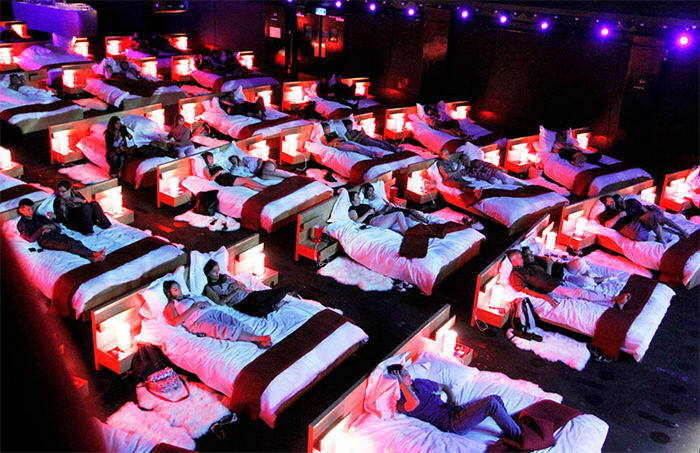 As you see on the picture, people watched movies lying on the beds in private lounge spaces. This beautiful and expansive outdoor music venue is formed on the surrounding sandstone mountains, offering a truly one-of-a-kind experience. 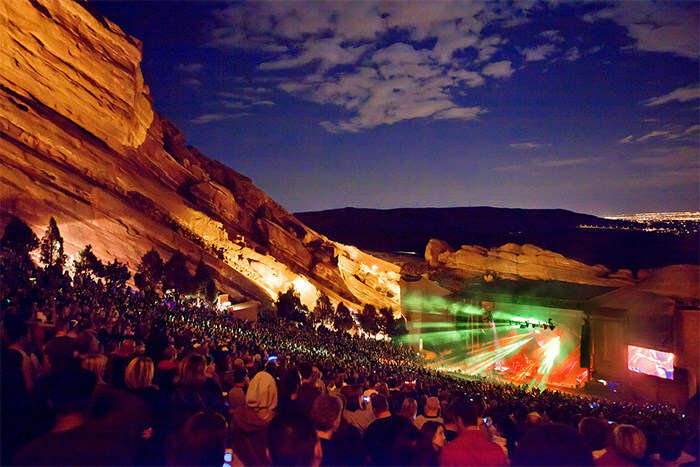 In 2015, over 57,000 people attended Film on the Rocks events.